There is something about personalized items that just pulls you in. If strolling along in a store I see a cute little item with initials on them I simply feel compelled to go examine the S option. When I was a wee lass I always had to search out my name in every corny shop that sold light up keychains or mini license plates, didn't you? 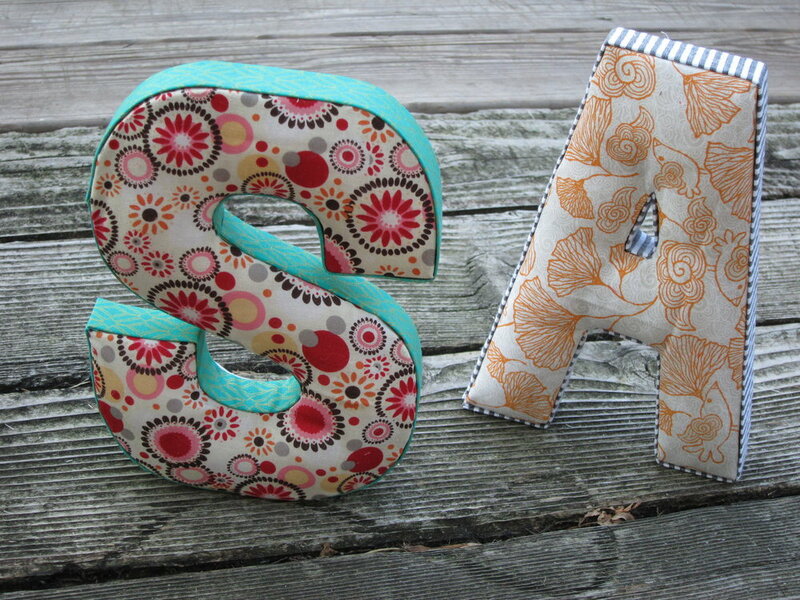 Even as a grown up I still adore the fabric covered alphabet letters that have popped up everywhere, and stayed! But I have never bit the bullet and bought one because I've always thought "I can make that." 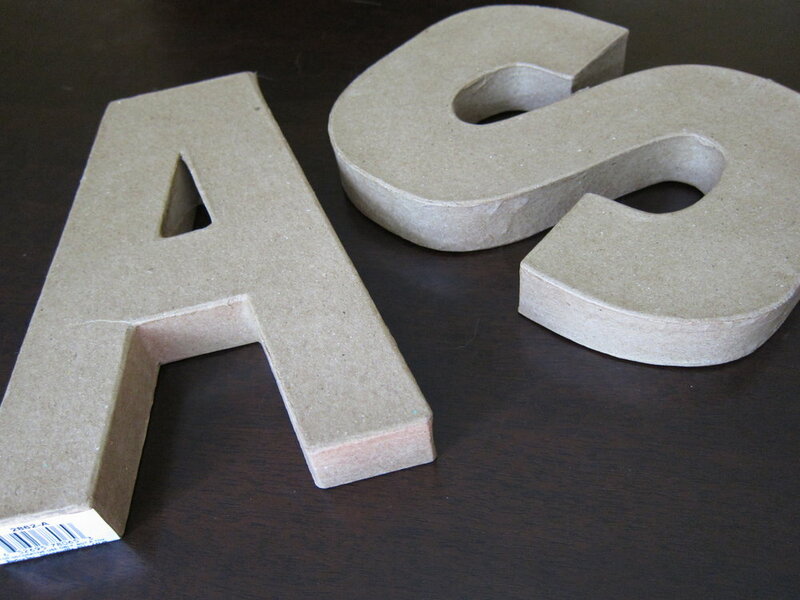 So here we go, a step by step tutorial on how I made eclectic fabric letters inspired by The Company Store and Anthropologie of course. 1) Purchase your basic letter. I choose the 8" paper mache style from Joann Fabrics because it is rather blocky and more conducive to wrapping fabric around than a flat wooden one. They go for $3 each. I bought two, one for me and one for boyfriend. 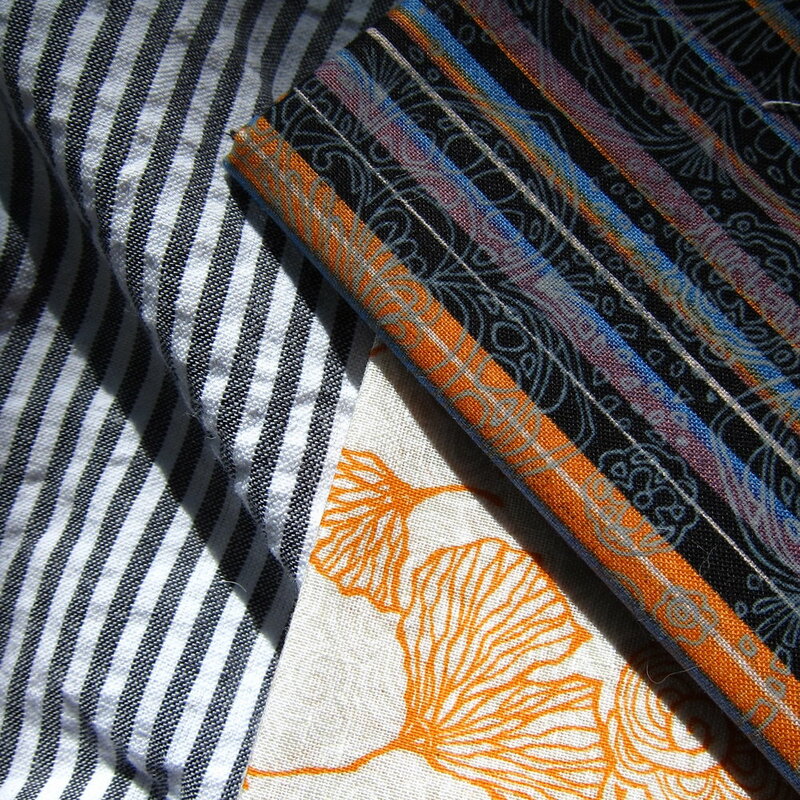 2) Choose three fun fabrics. While at the store I picked a few quarter flats for $2 to mix in with some scraps I had at home. 3) Cut out your first fabric by loosely tracing around the letter leaving about 3/4" to spare. Do NOT cut out the tiny centers or gaps yet, wait until you have added fluff and tacked things down around it to ensure the fluff is secure and the hole is in the right place. 4) Tack down one side by using hot glue on the side of the letter, not the face.5) Begin filling with fluff and tack down. This is the trickiest part. Depending on your letter there are going to be complicated areas that need to be addressed first. In this case, I realized that I needed to tack down the fabric and fluff around the gap first to avoid too loose or too tight fabric later. 6) Continue stuffing and gluing, going from one side gradually over to the other to avoid unevenness. *Tip: When going around corners or curves, cut the excess edge into wide fringe so that it can overlap and fold smoothly over complex areas. I used that technique to deal with the tight gap in the middle, first cutting into it, making the fringe and gluing to the inner sides. 7) Repeat on opposite face. Remember that some letters are not reversible, unlike this "A". 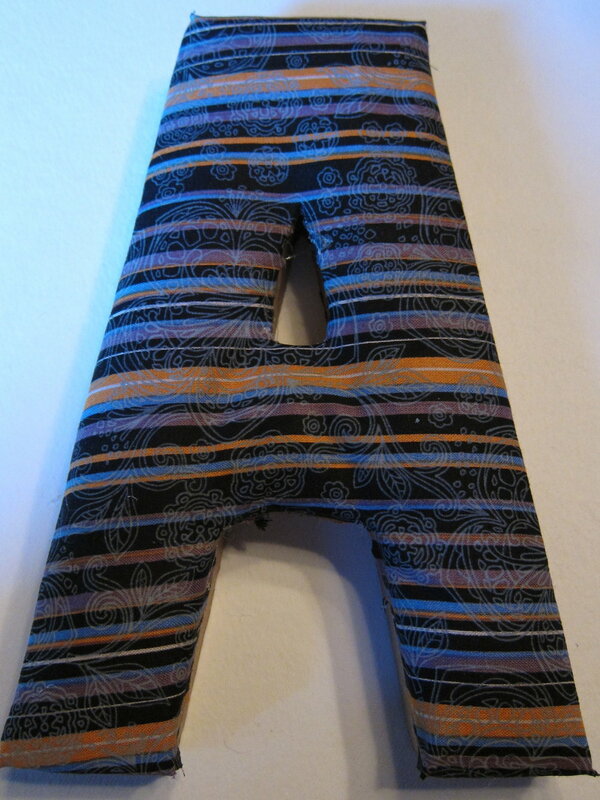 So when working with those letters (such as my "S") be conscientious of what fabric you want on the front. 8) Measure side width and cut long a long strip of thick paper. I used watercolor paper but card stock or the like works too. This is going to wrapped in your side fabric and glued around the sides to cover the messy bits of the front and back. It is ok if you do not have paper long enough to go around the letter in one piece (I didn't), but try to end the strips on a corner so that the "seam" isn't as noticeable. 9) Cut and glue fabric around strip, by lightly spreading tacky glue not hot glue. 10) Wrap covered strips around letter, scoring at corners and figuring out the best places for "seams". 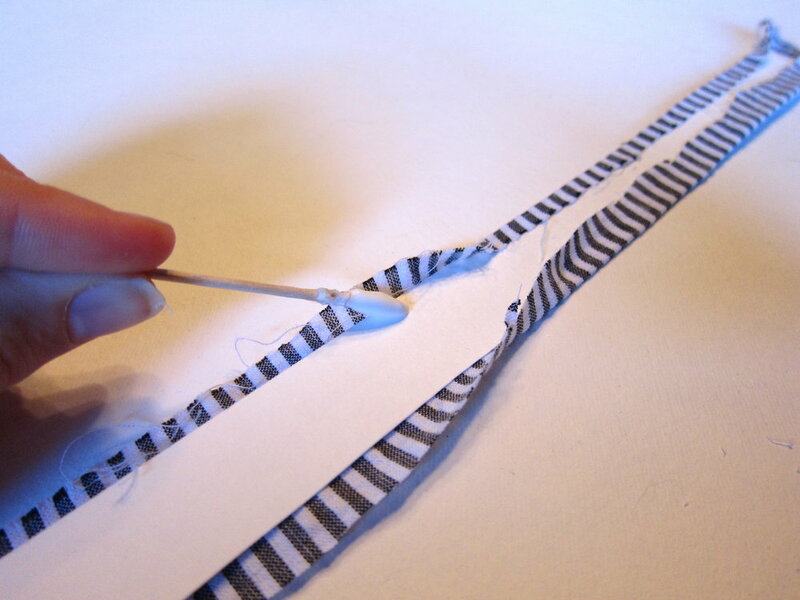 11) Then glue on strips! *Tip: Don't forget the insides! But making the covered strips for tiny inner walls is tricky. I measured and cut my paper a couple times before wrapping with fabric to make a great fit. It was a touch and go process, and let me tell you, that curvy "S" was a pain, but in the end I am really happy with my letters!